Do you have the heart to spread the Gospel and minister to people via Instagram? Would you like to have a vibrant Instagram ministry that makes a difference in the lives of thousands of people every single day? If you answered “YES” to those questions. You are in the right place. Hi! 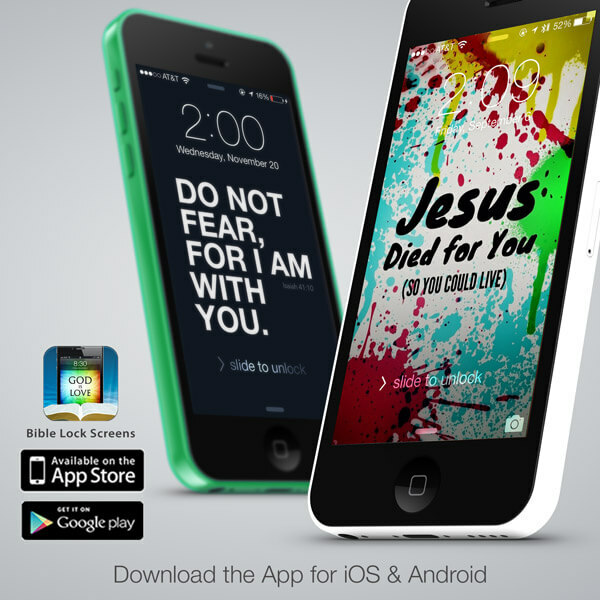 I’m Ryan Maher the creator of the Bible Lock Screens app for iOS and Android. In August of 2012, I started my “Instagram Ministry” (@BibleLockScreens) without a clue of how to make a difference via Instagram. If we fast forward to today, my main account has over 650,000 followers. My collective audience is over 1,000,000 including my other accounts. The following are many of the insights I have learned over the last few years (using Instagram every single day) and my hope is to encourage you and instruct you with the “best practices” that I have learned from my own trial and error. My heart in sharing this information is that you would be able to make a difference for God’s Kingdom. My hope is to empower you to go out and start your own Instagram ministry that shares the Gospel, encourages, blesses and helps a ton of people every day. Okay, let’s get started. I will be answering many of the common questions you may have. What is an Instagram Ministry? Any Instagram Christian page that posts content intended to encourage, bless, minister, or promote: Jesus Christ, the Gospel, the Word of God and Christian living. Anyone can start and run an Instagram ministry. We are all called to “make disciples of all the nations” (Matthew 28:19) and we are all “ministers” of the Gospel. As the body of Christ, we are the Lord’s hands and feet. God will use our efforts and work to bless and help others. How do I start my Instagram Ministry? This part is easy. Download the Instagram app for iOS or Android, then create an account. You can do better than that. Instagram recently allowed the addition of periods in between username words, hence (@Ryan.Maher). This update allows for tons of new username combinations. Get creative! Christian pages tend to attract a Christian audience. However, many people tag their friends on Christian posts hoping to reach out to their non-Christian friends. This is very common. Sometimes I intentionally create an image that says “God loves you” and in the description I encourage my followers to tag their friends. I do this hoping that they will use the opportunity to reach out to their friends and families. It’s important to remember who your primary audience is when creating & posting your content. Don’t post something that is going to offend your audience, even if you aren’t offended by it. They might be and that is a great way to lose followers. You can’t please everyone, but if you are second guessing whether or not to post a particular image or video, err on the side of wisdom. 3. What is your page’s theme? Many pages have a “theme” or a particular style to them. See (@TheGoodQuote on Instagram) as an example. They use a consistent design for the majority of their posts. Some pages post Bible verses only. Other pages post quotes from Christian authors. You don’t have to have a certain style theme at the beginning, however, you may develop one over time. Some pages simply re-post other pages’s images, which is usually not a problem as long as you give credit at the top of the caption. HINT: Using a plain black background with a classy font like Georgia (white text), is a great theme. It focuses on the message and users aren’t distracted by the background. After all the message counts more than anything. AVOID: Many people follow you because you post Christian content. If you all of a sudden start posting personal images (un-related to Christianity) on your Christian page, expect those images to have less likes and you might possibly lose followers. No offense to you, however you must realize that they followed you for a reason. For example: If you follow a dog page that only posts pictures of cute dogs, then they start posting pictures of what they had for lunch, you may unfollow them. Your icon is important because it is the one image that is attached to every single image you post. In a way, it’s like your brand. People always look at the icon to see who posted the image that they are looking at. Download Phonto for iOS or Phonto for Android to create an icon right on your phone. HINT: Go to my personal Instagram (@Ryan.Maher) and follow the people and pages I am following. Some of those people are entrepreneurs but many of those are the pages I consider the top Christian pages I’ve seen thus far. If you are like me, you will appreciate seeing what other Christian pages are posting. Many pages have different styles, fonts, graphics, backgrounds, etc. Following other Christian pages is great for times you do not feel inspired or you are just needing some inspiration yourself. The greatest source of inspiration will always be the Word of God, the Bible. Many times after some quiet time in the Word, I have images I want to create and share with my audience. Hashtags are very important. Instagram currently allows 30 hashtags per post. People are searching hashtags constantly and using hashtags allows your images to be displayed via the search process. Why not make your images more viewable. It creates a greater opportunity for God to reach more people with your work. SECRET: I met my beautiful wife (@BrittanyMaherFit) because I used hashtags. What?! Say that again! I really did. I have always used hashtags on all my images and when I first started, my future wife was searching Christian hashtags on Instagram. She found my page and we started talking. A couple years later, we got married! I’m not saying you will meet your future spouse using hashtags, but I am saying that it’s silly not to use them. BEST PRACTICE: Do not post hashtags in your image caption. Post your hashtags in a comment after your caption. It works just the same. Remember: Your caption stays at the top of your post, so don’t fill it with hashtags. It clutters it up and looks bad. What hashtags work the best? There are 28 hashtags listed above, add two of your own that may be specific to your post. Again, you can post 30 hashtags per photo currently. I cannot stress this enough. Be a page worth following. People always want to know how to get more followers (which we will cover below), but the first step to growing your follower count is to be a page that others would WANT to follow. New Christian pages email me, comment on my images or direct message (DM) me on Instagram all the time asking for a “shout out” (I will cover that below as well), then I go to their page and they have two images. Two… Very few people will follow (or promote) a page that appears to have just started and only have a couple of images. Potential followers will take a look at your profile and make a split second decision on whether or not your page is worth following. You have one first impression. Establish your page with at least 12 original images. Yes, I said original. Unless your page is just going to repost other people’s images (with credit), you need to make your own. Why 12? Because if you have less than that, then it’s obvious to potential followers that you just started your page. You need to establish your page and show the type of images you will be posting. 8. How do I make original images? Download Phonto for iOS or Phonto for Android, right now. It’s free and it’s my “go to” image creating app on my phone. Your goal should be to ADD VALUE to people’s lives with the images you create. If you create your own images, they are yours and you can grow your page by tagging them. If you go to my (@BibleLockScreens) Instagram page, you’ll see that I usually tag “@BibleLockScreens” on my images so that when they are reposted, people know how to find my account. This will help grow your page. Also, many people do not give credit like they should, so this helps there as well. BEST PRACTICE: Always give credit. If you quote someone in a paper and do not put quotation marks around it, followed by the author’s name… what is that called? Plagiarism. Same goes for Instagram. Don’t share photos or videos that aren’t yours. This is guideline. Obviously people are reposting other people’s image constantly on Instagram. Many pages will never have a problem with you posting their images if you are giving them credit. It actually helps promote their page and I consider it a blessing. However, if you are using someone else’s images (their copyright ownership), they could file a dispute with Instagram and have their images removed and your account could be deleted. NOTE: I have seen this happen many times. I have seen pages with over 200,000 followers deleted (without notice) after a valid dispute had been filed. Instagram may send you an email if they remove one of your images due to a dispute, however they don’t have to. Just play nice and give credit. After all, you are running a “Christian” page. Don’t be a Christian page that steals other people’s images. If you post something that you didn’t make, without credit, you are saying that this is your image. Make your own. If you post something that you didn’t create, make sure to give the original author credit at the top (yes, I said TOP) of the caption. If you include credit at the bottom of the caption or mixed into the middle, you lower the percentage of people actually seeing it and therefore is not good. You can also “Tag People” in the image so that their name pops up when someone taps the image. This is nice, but it is hidden unless you tap the image. I do not believe this method is as good as mentioning their account at the top of the caption. Most accounts prefer credit at the top of the caption because it is the most visible. Is it okay to grab an image from Google and then put your text over it? Most often, the answer is no. Most of the images you find on Google are copyrighted images (especially the good ones). Will you get reported if you use a copyrighted photo? Possibly. In my opinion, it's just not worth it. There are tons of public domain images available on the internet. “Public domain” means you are free to use the image in any way you would like, without giving credit. Just google “public domain images” or go to my favorite image website, PixaBay.com (you're welcome in advance). This is a great way to get more followers. Currently, new Instagram accounts can follow around 7,500 people. What happens when you follow someone? Well, for most people, it sends a push notification to their phone or at a minimum they see that they have a new follower when they open the Instagram app again. When someone follows you, what is the first thing you do? You tap on their profile to see who they are. This is the moment of truth. Remember that split second decision I mentioned above, this is that moment. They will decide whether or not to follow you back. If you are a page worth following, they will follow you. So, follow people. Better yet, follow people who already follow other Christian pages. Why? Because they have already proven that they are interested in Christian content, so they are the perfect target audience for you. HINT: Go to a popular Christian account (see the list of who I’m following on my personal account @Ryan.Maher) and follow their followers. Yes, unfollow pages you do not follow you back after a week or so. I know unfollowing can be frowned upon so why am I saying this? Following people let’s them know that you exist. They go to your page, they make a decision whether or not to follow you. If they do, great! If not, you have no obligation to follow them forever. There are many apps that you can use to manage who does not follow you back. I recommend the Phonegram app for iOS and Android – for managing multiple accounts and it also allows you to follow rapidly and unfollow rapidly as well. I am not saying “follow people, to just unfollow them later.” If someone follows you back, continue to follow them (this only works up to 7,500 people). An Instagram Ministry is unlike a normal Instagram page. You will interact, comment, like, etc. but your page exists for a purpose. You are trying to make an impact in the greatest number of lives possible. Whether it’s 100 followers or 100,000… your goal is to make a difference. NOTE: I would steer clear of using apps that promise to get you more followers. These apps may get you a few more likes, but they are usually from random people liking photos to earn “tokens” so that they get likes. This is not your target audience and may be from fake accounts. This is not good. The idea of cross-promoting is good, but posting a screenshot of someone else’s account just makes your page look unprofessional. This is the BEST way to get more followers! Your goal should be to ADD VALUE to your audience every time you post something on Instagram. Whether it’s something that blesses, encourages, challenges, or inspires them. A traditional shoutout doesn’t do any of those things and again, makes your page look bad. Why is this better? It adds value to your audience and doesn’t cheapen the look of your page, while sending traffic to the other page. We have all seen pages filled with shoutouts. Who wants to follow a page of shoutouts? Very few. TIP: I wouldn’t say “follow them” typically. Just put an arrow –> towards their name at the top and people will naturally tap their profile link. If they have a page worth following, people will follow them. Trust me it works! BEST PRACTICE: Do not go to someone’s page (who you do not know) and comment on their photos asking for a shoutout. This is like walking up to a stranger and asking them to tell everyone they know that “Ryan” is a great guy and they should follow me. It’s actually kind of rude. You don’t even know them. If you want someone to help you, don’t say “Hi, I’m Ryan. Will you give me a shoutout?” Do something for them first, add value to them first. Repost their images and give them credit (promoting their account) before you ever ask for their help. Remember this is your first impression. Do you want to be one of the thousands of people asking for a shoutout or do you want to be the guy or girl that is completely and totally helpful? Which scenario do you think has a better chance of getting help in return? At a minimum, contact them via email, KIK messenger, Instagram Direct Message, etc. and see if you can do something to help them. Later in the conversation, after you have added value to them, you can see if they would be interested in doing a series of Post-for-Posts. This approach will give you a much better outcome. NOTE: I would contact pages that typically have around the same amount of followers that you do or about 25% more. Why? Because in order for this to work, the cross promotional needs to be reciprocal. Both accounts need to benefit somewhat proportionally. For example: If you have 100 followers, I wouldn’t waste your time asking pages with 100,000 followers to do a Post-for-Post. They might, but it’s less likely. There may be some exceptions if you create amazing original images or videos that are awesome. All that to say, connect with other accounts. Network and support one another. Give first, ask for help second. Add value always. How do you build a faithful following on ANY social network? Consistency. Post original images that add value, consistently. Post daily. How many times a day should I post and when? At least one time per day, but probably no more than 3 or 4 would be my recommendation. If you post more than once, spread them out throughout the day. Some bigger accounts post about every 4 hours. Think about when you are on Instagram yourself. Many people are on before work, during their lunch break and after work. If you do post one time per day, I recommend the 7pm-10pm ET range as the perfect time to post. Why? The majority of people in the USA (this is different for other countries) are now off of work or school and are able to get on Instagram. I have tested this time and time again. I have posted the same image at different times throughout the day and it always gets more likes and comments from 7pm-10pm ET. This information took me over 4 years to learn, while using Instagram every day. I hope it helps you to make a difference even faster, avoiding potential pitfalls. If this article has been a blessing to you, please share it on Facebook, Twitter, Pinterest and of course Instagram (screen shot it). Also, sign up for my email list below so that you get more free encouragement about our faith, social media and online business.